Knowledge Level Games News - History Tree Puzzle. P42 Release date EU 23.06.2017 year. Just launched, a new Planeta 42 history online game. 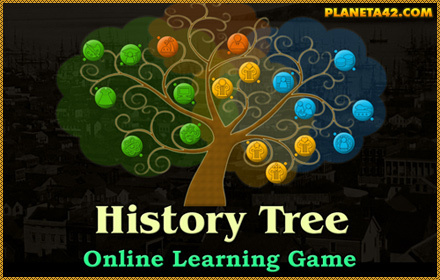 "History Tree Puzzle"
is a small mosaic game, to arrange 18 topics studied by history in the fun, colorful tree of knowledge.